Code Clubs for children aged 8-12 with easy to follow step-by-step guides to help them learn Scractch, HTML & CSS and Python by making games, animations and websites. Come along to one of our Homework Clubs where you will find friendly staff available to help with any questions, a quiet room with access to computers, and the very real possibility of fun and games afterwards. Get ready to go on an exciting pre-historic adventure as Ben talks you through the deadliest predators that ever roamed the planet. Read more about this article. 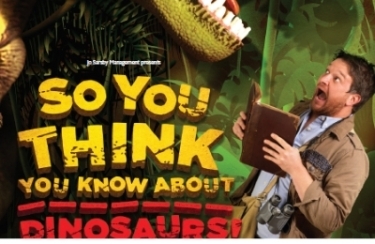 So you think you know about Dinosaurs?